Having retired after a 35-year career as a prominent tax lawyer, LaBrenda Garrett-Nelson is pleased to be able to devote more time to alumni affairs. 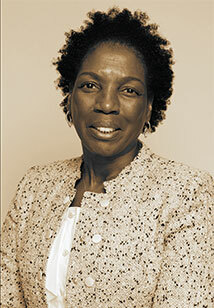 After all, noted Garrett-Nelson, the College named a classroom after her, as well as naming her Distinguished Alumna of the Year in 2014.
faculty members were instrumental in her gaining admission to New York University School of Law, from which she received her law degree in 1978. English Professor Audre Lorde, who later became Poet Laureate of New York.